Create the perfect companion for your little one. Her best bud can look like her with the same color hair and eyes plus matching clothes. 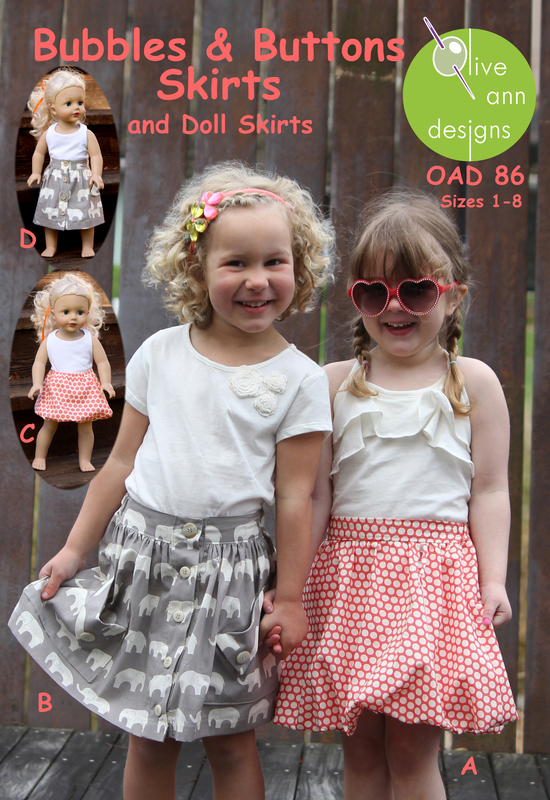 The dresses, skirts and top all have matching Olive Ann Design's children patterns. Her 'best bud' is soft, washable and easy for little kids to dress. 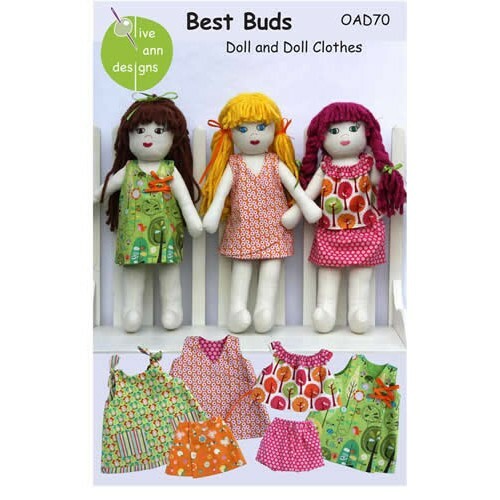 Cothes will fit most 18" dolls. Includes full size PDF pattern and compete, detailed and easy to follow instructions. Printing Instructions: The doll, doll clothes and instructions can be printed separately following the diagram below so that you only print what you need. 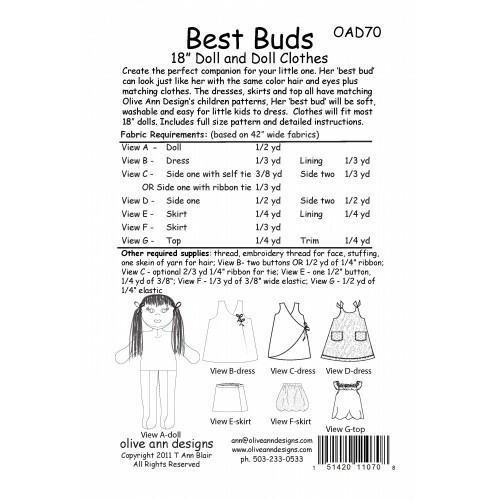 Doll templates are on pages 29-31, Doll outfit templates are on pages 1-28 and instructions are on pages 32-43. Each View will have a 1” square printed on the first page - be sure your printer is printing to scale, the square should measure exactly 1”. When the template covers more than one page, arrows with matching letters will indicate where the pages will line up. Tape pages together so that the arrows and lines are aligned (cut or fold back one edge on the sides where taping is necessary). A copy of these printing instructions can be found on page 44 of the download.